Chanteuse Country US née Lynn Connie Voorlas à Racine (Wisconsin). 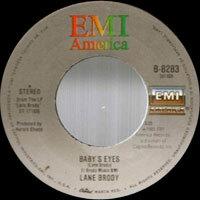 Lane Brody was born in Racine, WI, where her love of singing was established at a very early age. She wrote her first song, "Through the Darkness," at 12, founded an all-girl trio while still in high school, and by age 18 had set out for New York, where she was discovered by Vocalsist Bobby Whiteside. Eventually, Brody moved to Chicago, where she sang commercial jingles and modeled in print for such products as Harley Davidson motorcycles and Pabst Blue Ribbon beer. 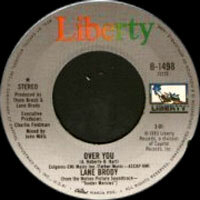 In 1976 she made her recording debut with the single "You're Gonna Make Love to Me" under the pseudonym Lynn Niles. 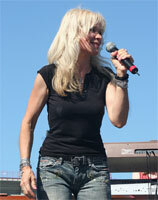 Brody next moved to California, where she in 1981 signed with Liberty and debuted on the singles chart with the self-penned "He's Taken." Her next release, "More Nights," made it to the Top 60. Near the end of the year she had a minor-hit duo with Thom Bresh, "When It Comes to Love." That same year Brody made her television acting debut on the series Taxi and was nominated for an Emmy the following year for singing "Just a Little More Love" in the TV-movie The Gift of Life. Her next chart appearance came in 1983 with a song she co-wrote, the Oscar-nominated "Over You," which was featured in the film Tender Mercies. 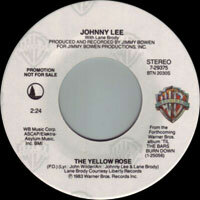 She scored a number one hit with her 1984 duo with Johnny Lee, "The Yellow Rose," which she and John Weilder adapted from a Civil War standard for use as the theme song to a short-lived TV series. Brody's self-titled 1985 debut album contained two hits, including Bobby Lee Springfield's "He Burns Me Up." The next year she and Lee recorded another popular duo, "I Could Get Used to This." She then played a country singer on ABC's TV series Heart of the City. Brody continued to tour with Bresh following a joint appearance on a Lee Greenwood special for TNN and their own subsequent special. She also wrote and performed "All the Unsung Heroes" for a documentary on the Vietnam War Memorial in Washington, D.C. Throughout her career Brody was also a frequent performer with the USO, entertaining servicemen and veterans. She continued to perform throughout the late '90s and early 2000s, including appearances on Nashville's Grand Ole Opry. In 1996, she was honored by the Country Music Hall of Fame with her very own star on its famous walkway. Her album Pieces of Life appeared in 2002. 01/1985 SP WARNER BROS. GWB-0490 (US) .